The Idea behind OldApps.com is ingeniously simple. Our mission is to provide our users with a wide assortment of current versions of familiar software, and their predecessors, for free. Our database is maintained up to date with older versions of software as they become readily available. Our users can be assured that this process involves our careful and meticulous screening of each individual program and version listed on OldApps.com. 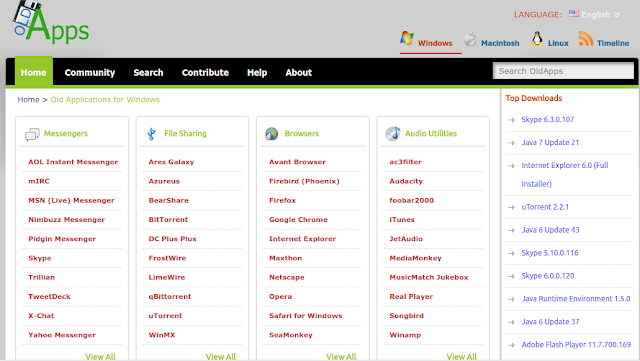 Our pledge is that our users will never end up with any malware, trojans, and/or any other variation of viruses. 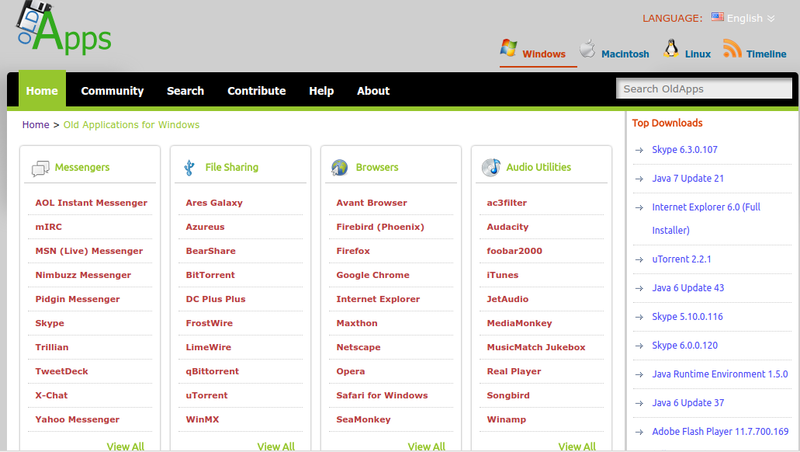 While most web-sites provide downloads of current versions, OldApps.com caters to a different market of interest by providing older versions of the same useful programs. Often newer versions are more complicated to use and we understand that it is hard to find older, more user-friendly versions of popular software. Many software providers do not include older versions of their software on their sites, therefore, OldApps.com has found its market niche and provides a vital intermediary function for our users' software needs. We are more than happy to accommodate you with "freedom of choice" by providing multiple versions for you to choose the optimal software version that is right for you.